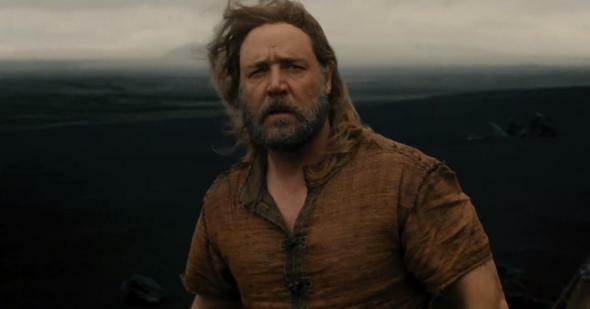 Darren Aronofsky has been talking about adapting the story of Noah for years. He even collaborated on a graphic novel as a way of developing the story before funding for the film was secured. And he ultimately got quite a lot of funding: more than $125 million, reportedly, much of which went to CGI from Industrial Light and Magic that included “the most complicated rendering in the company’s history.” “We had to create an entire animal kingdom,” Aronofsky explained. The biblical story of the flood takes up just four chapters in the book of Genesis, so it’s not surprising to see some material here that looks a bit unfamiliar to those of us who went to Sunday school. In addition to Russell Crowe as Noah, for instance, we get Anthony Hopkins as his grandfather, Methuselah, a man who barely shows up in the Bible and is known mostly for his remarkable longevity. (He is connected to the flood in the noncanonical Book of Enoch, and later texts depict Noah and Methuselah preaching repentance together.) We also get hints of a massive battle between Noah and his contemporaries. Some of us, of course, are encouraged by that idea; the environmentalist overtones of the Noah story are among the reasons a movie seems worth doing now. And there are not many filmmakers I would rather see take it on than Aronofsky. His version is set to open next March.